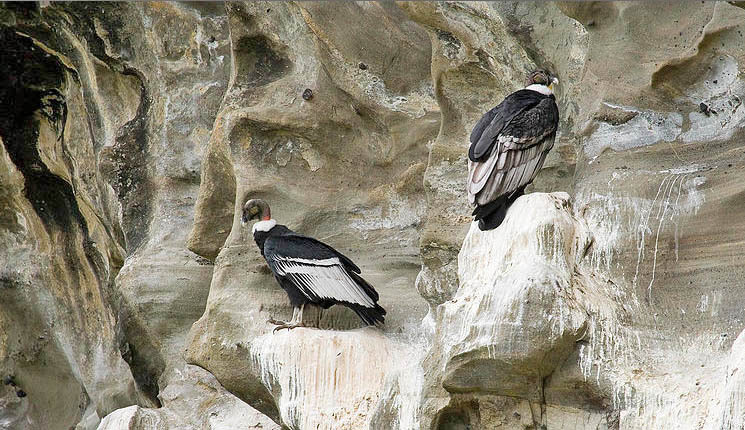 On windy days, see up to 80 Andean Condors at Estancia Olga Teresa. 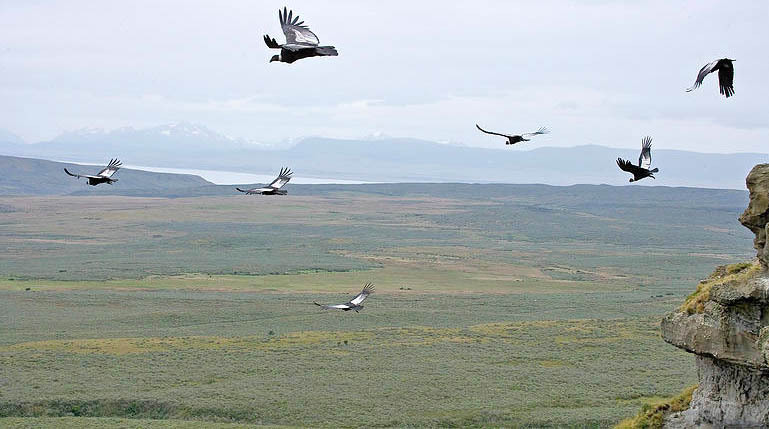 Andean Condors in flight, Estancia Olga Teresa, Punta Arenas, Chile. Photography: Estancia Olga Teresa. Pumas of Torres del Paine. 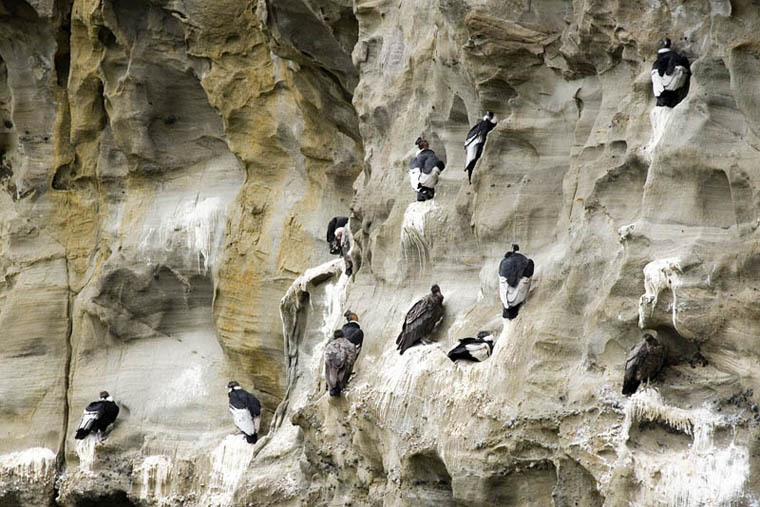 While the Puma Extreme includes an afternoon to photograph the condors at the 25,000-acre Estancia Olga Teresa, the Andean Condor Extension allows for an additional full day of photography and overnight in Punta Arenas. 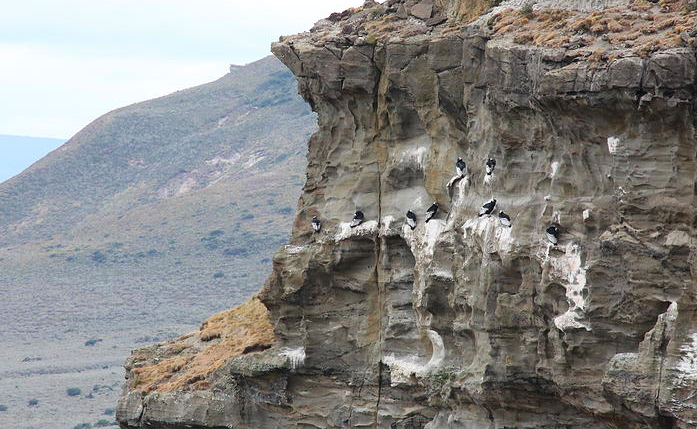 Andean Condor roost, Estancia Olga Teresa, Punta Arenas, Chile. The land price includes escorted transfers, excursions with a naturalist guide, entrance fees, specified accommodations on the night of Day 13, all meals from breakfast on Day 1 through breakfast on Day 2, as well as all land transportation. All prices are per person based on two people sharing a guest room. An intial payment of 50% of the land price is requested to guarantee a reservation, with the balance payable two months before tour commencement. No air tickets are included, nor do we sell any. The flights are best arranged through your international carrier or Expedia. Andean Condors at their roost, Estancia Olga Teresa, Punta Arenas, Chile. Andean Condors, Estancia Olga Teresa, Punta Arenas, Chile. Thursday, Day 13: Punta Arenas – Estancia Olga Teresa – Punta Arenas. Breakfast. Early mornng drive for one hour to our exclusive Andean Condor reserve at the 25,000-acre Estancia Olga Teresa. Sight and photograph the Condors from sunrise until sunset. On windy days, see up to 80 condors at the roost. Return to Punta Arenas between 6 pm and 7 pm. Farewell dinner with your guide. Overnight in the Hotel Diego de Almagro – King Size Double Room. B, L, D.
Firday, Day 14: Punta Arenas – Santiago. Breakfast. Transfer to the airport and check-in assistance for your flight to Santiago and connection home. B.
Andean Condor in flight, Estancia Olga Teresa, Punta Arenas, Chile.